Copper Mountain Snowmobiling Tours at the Prospector Lodge are the only local tours to offer Child-Sized Snowmobiles, which allow kids to experience Colorado Snowmobiling for themselves! Copper Mountain Prospector Snowmobiling Tours offer the perfect blend of open meadow, bowl and trail riding to groups, families and individuals seeking a scenic snowmobiling tour in the Rocky Mountains. This snowmobile tour is our most popular option for families that include children and those who would prefer to "double up" and ride two per snowmobile. Prospector Tours begin with a brief instruction session that outlines the operation of your machine, followed by an open meadow practice ride to familiarize yourself with its handling. You'll then embark on a snowmobile tour through high alpine meadows and forested trails that open to sweeping views of Colorado's two highest summits - Mt. Elbert and Mt. Massive. Guests can enjoy free riding time in spacious and snowy mountain meadows with plenty of room to open up their snowmobile's throttle. The Prospector is the only local snowmobile tour to offer child-sized snowmobiles alongside its open meadow play area. Here, children can try out Copper Mountain Snowmobiling for themselves, on miniature snow machines sized especially for them. 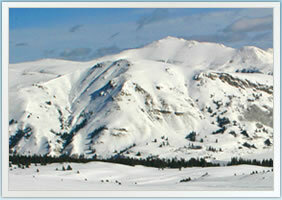 This Copper Mountain Snowmobiling Tour is two hours in length and is offered at 9:00 am, 12:00 pm, and 3:00 pm. Complimentary transportation is offered on all tours. 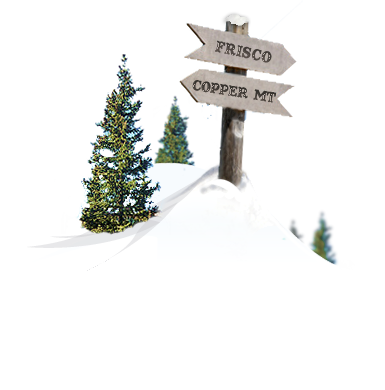 Pick-up times in Frisco and Copper Mountain are 45 minutes prior to snowmobile tours times. Transportation is also available from the towns of Breckenridge, Vail, Beaver Creek, Avon, Keystone, Silverthorne and Dillon, Colorado. 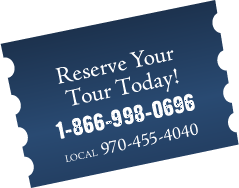 Book Your Snowmobile Tour Now! To book your Frisco & Copper Mountain Snowmobiling Expedition at the Prospector Lodge contact us toll free at 1.866.998.0696 or locally at 970.455.4040. 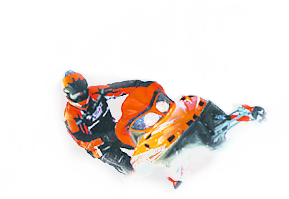 A credit card imprint, serving as a damage deposit, is required on all Copper Mountain Snowmobile Tours. Snowmobile Drivers must be a minimum of 15 years of age. Frisco Snowmobile Drivers must be 18 years of age or older in order to carry a passenger. A signed liability waiver for personal injury is required prior to tour departure. Snowmobiling Tours are not recommended for children under 4 years of age.